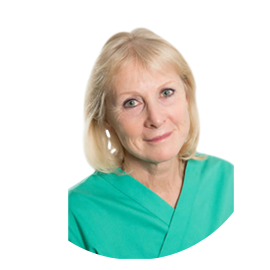 Penny has been an integral part of the Smilemakers' team since 2012 and her passion for her work combined with the high levels of care she provides has created a very loyal following amongst her many patients. Since qualifying as a Dental Hygienist and Dental Health Educator, Penny has been an active member of the British Society of Dental Hygiene and Therapy, helping to organise regional meetings and lectures. In addition to attending postgraduate courses concerned with the treatment of gum disease she has a qualification in tooth whitening and is a member of the British Dental Bleaching Society. Penny's free time is spent in the great outdoors; sailing, cycling and walking with friends and family.